Photo by Ona Knoxsha via The Circle. 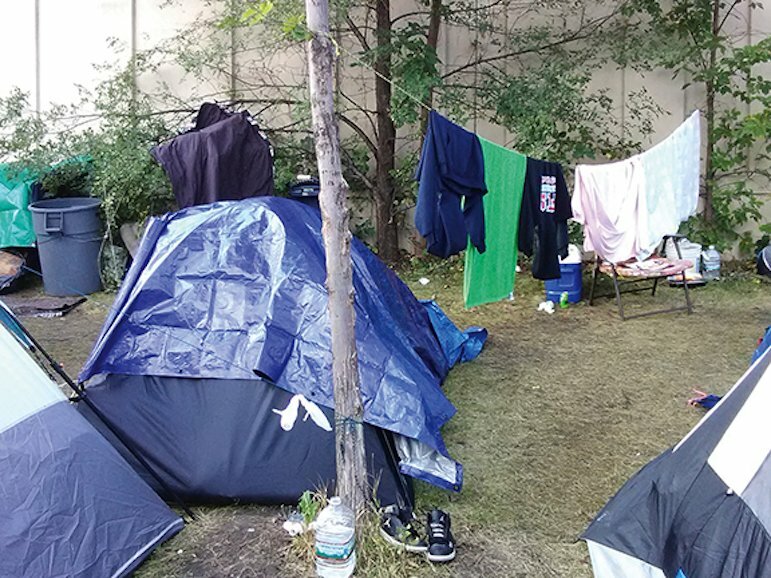 The Minneapolis City Council recently voted to move the Franklin-Hiawatha Native homeless encampment, known as Wall of Forgotten Natives, to a nearby “navigation center” on Cedar Avenue. This facility is to be a temporary shelter to help the homeless Native population have access to warm shelter and healthcare as the temperatures drop. The Red Lake Nation, owner of the new location, is invested in working with Minneapolis city officials to implement a long term solution, and has plans to build a six-story affordable housing complex on the location starting in 2019. “These are our people down here … The reality is, as tribal leaders, we need to step up, and it’s powerful when we do,” said Sam Strong, tribal secretary of the Red Lake Nation. Find the full story at The Circle. As the cost of housing in Minneapolis continues to rise, finding housing that fits one’s budget is getting increasingly difficult. There is a serious deficit of affordable housing options available in the Twin Cities and with the cost of housing on the rise, housing advocates say it is important that we invest in more affordable housing before prices get too high for public officials to consider investing. Often communities of color don’t have control over the land they live on and depend on rental properties which are subject to price increase or destruction as gentrification takes a hold. Housing stability is something many people seek and few find. Read more about it at The Downtown Journal. Open Streets West Broadway brought together communities to learn about active living and health. The event, which took place on West Broadway Avenue and went from Penn to Lyndale Avenues, was sponsored by local businesses and emphasized health and wellness. “I was impressed to see how many businesses came out to educate community members on health and wellness because, unfortunately, active living has not always been a topic that is largely emphasized in the Black community,” wrote Latisha Townsend, a community member. Read the full story at Insight News.